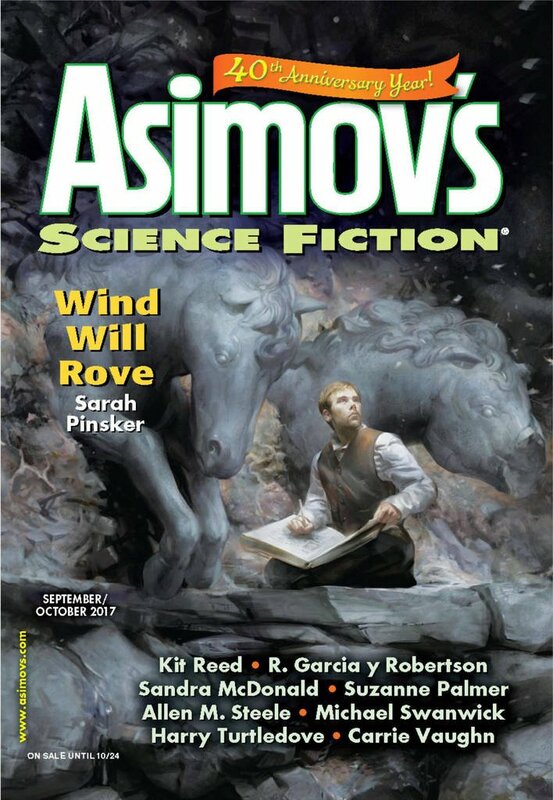 "Dead Men In Central City," by Carrie Vaughn [bio] (edited by Sheila Williams), appeared in Asimov's Science Fiction issue 09-10|17, published on August 17, 2017 by Penny Publications. Pro: It’s amusing that Doc and Ricardo achieve a level of mutual respect. By saving Doc, Ricardo repays him for keeping his secret and earns the right to move on. Con: It reads a lot like the prologue to a much longer story than it does like a short story. There's a lot of setup, but not much actually happens.